Professor Christopher E. Wilmer from the Department of Chemical and Petroleum Engineering at the University of Pittsburgh is the 2017 winner of the CoMSEF Young Investigator Award. He is cited, “For his pioneering work on generating hypothetical metal-organic frameworks, and screening them on a large-scale for energy and environmental applications”. Chris has been a member of the faculty at the University of Pittsburgh since 2014. Prior to this appointment, he served as a postdoctoral fellow within the Department of Chemistry and Chemical Biology at Harvard University, completed a PhD at Northwestern University, and earned a BASc in Engineering Science at University of Toronto. 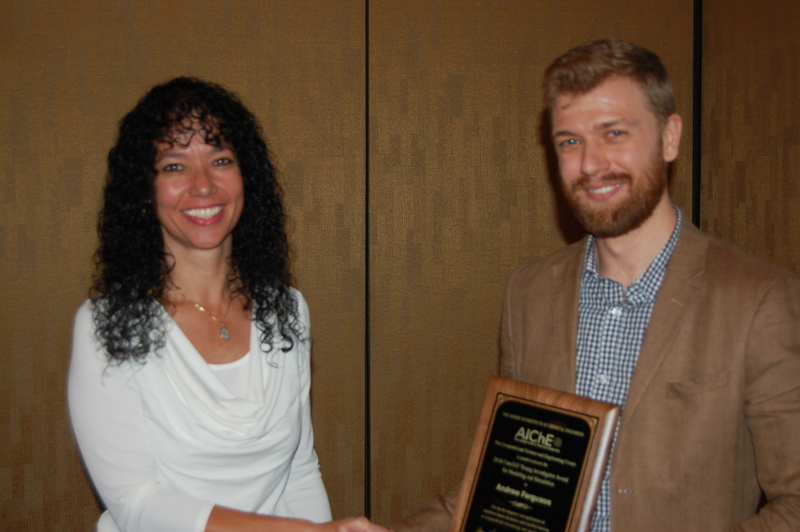 Chris received his award during the CoMSEF Plenary Session at the 2017 AIChE Annual Meeting, where he also delivered a presentation describing his research. The CoMSEF Young Investigator Award is given annually to a CoMSEF member who is within 7 years of completion of their highest degree. Professor M. Scott Shell from the Department of Chemical Engineering at the University of California, Santa Barbara is the winner of the 2017 CoMSEF Impact Award. He is cited, “For the development of a powerful statistical mechanical theory of coarse-graining and associated multiscale algorithms to understand complex biomolecular, liquid, and soft material systems”. Scott has been a member of the faculty at UC Santa Barbara since 2007. Prior to this appointment, he served as a postdoctoral scholar within the Department of Pharmaceutical Chemistry at UC San Francisco, completed a PhD at Princeton University, and earned a BS at Carnegie Mellon University. 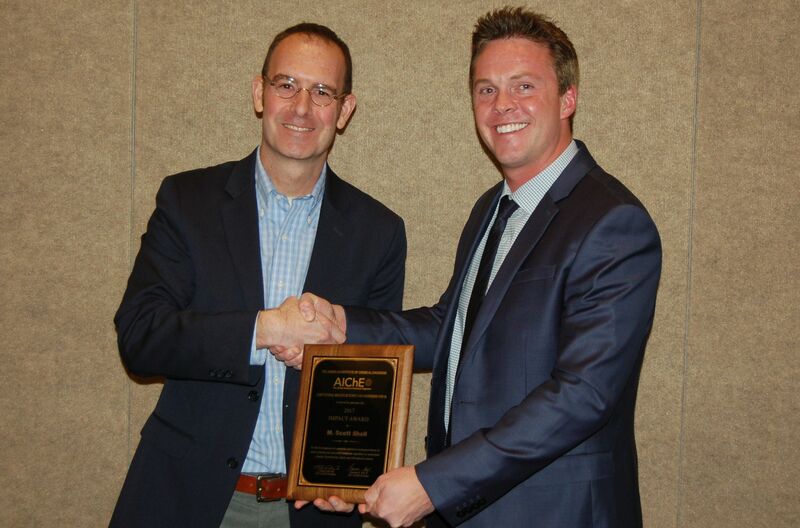 Scott received his award during the CoMSEF Plenary Session at the 2017 AIChE Annual Meeting, where he also delivered a presentation describing his research. CoMSEF is over 15 years old but still doesn’t have a logo. Let’s fix that! The CoMSEF Executive Committee would like to challenge the student members of CoMSEF to create a CoMSEF logo. a copy of “Introduction to Scientific and Technical Computing” edited by Frank Willmore, Eric Jankowski, and Coray Colina. The winner will be selected by vote of the CoMSEF membership during the 2017 CoMSEF elections. Andrew Ferguson from the Materials Science and Engineering Department at the University of Illinois at Urbana-Champaign is the 2016 winner of the CoMSEF Young Investigator Award. Andrew joined the faculty at Illinois in 2012 after a postdoc at MIT, Ph.D. from Princeton, and MEng from Imperial College London. 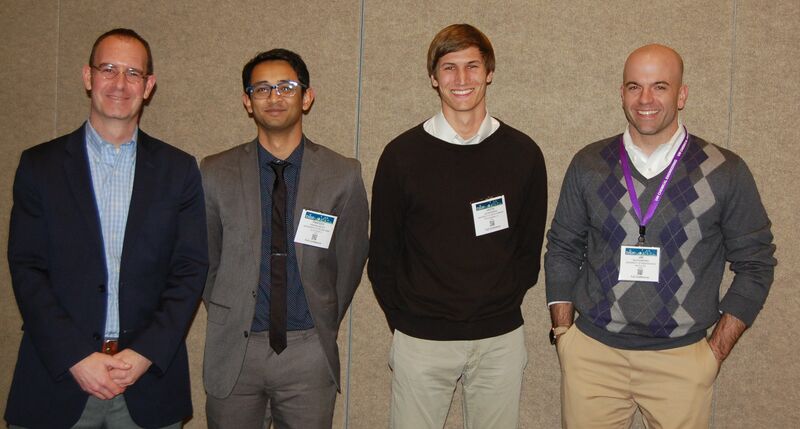 With this award, Andrew is cited “For the development and application of statistical thermodynamics and machine learning to computational immunology and vaccine design.” Andrew received his award during the CoMSEF Plenary Session at the 2016 AIChE Annual Meeting, where he also gave a talk describing his research. The CoMSEF Young Investigator Award for Modeling and Simulation is awarded annually to a member of CoMSEF who is within 7 years of completion of their highest degree in the year of the award. Professor Thomas Truskett from the University of Texas is the winner of the 2016 CoMSEF Impact Award, which cites his work “For creative and pioneering work elucidating how nanoscale interfaces impact structure, dynamics, and self-assembly of complex fluids and biomolecular systems.” Thomas has been on the faculty at Texas-Austin since 2002 following an NIH NRSA postdoc at California-San Francisco, PhD at Princeton, and his Bachelor at Texas. 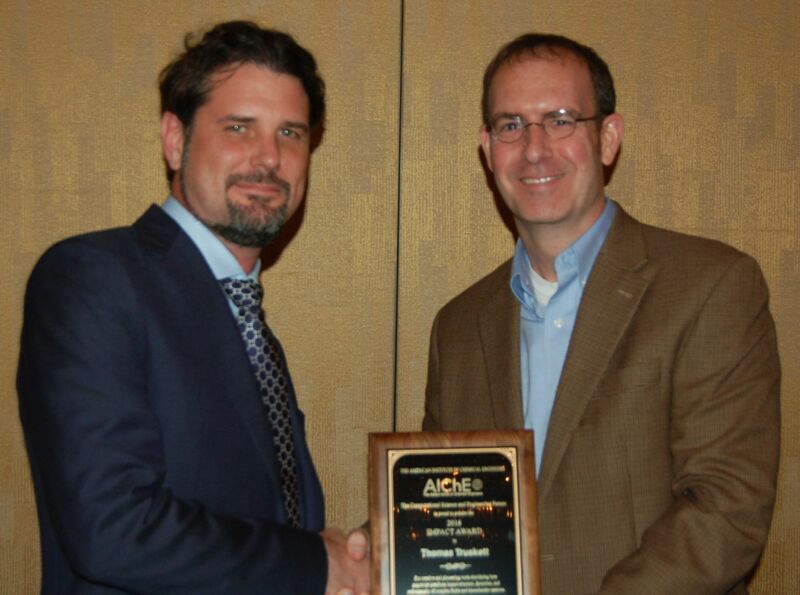 Thomas received his award during the CoMSEF Plenary Session at the 2016 AIChE Annual Meeting, where he also gave a talk describing his research. The CoMSEF Impact Award is given annually to a CoMSEF member who is within 15 years of completion of their highest degree. 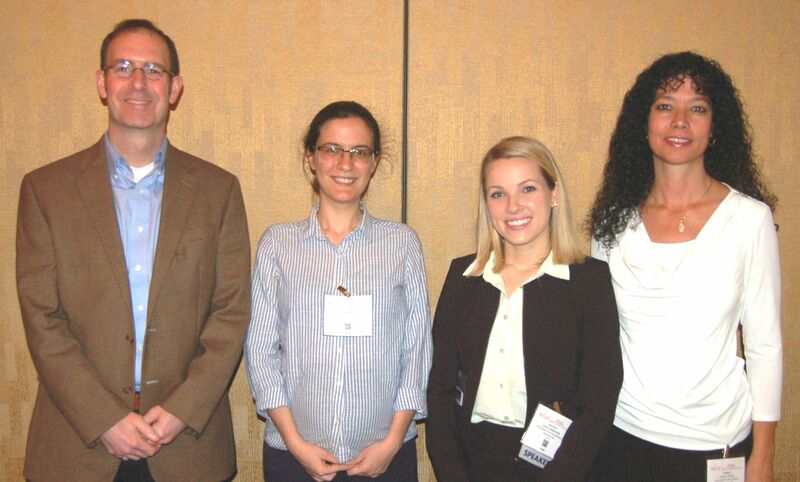 Gül Zerze (Lehigh University, advisor: Jeetain Mittal) and Kayla Sprenger (University of Washington, advisor: Jim Pfaendtner) won the 2016 CoMSEF Graduate Student Awards in Computational Molecular Science and Engineering at the AIChE Annual Meeting in Salt Lake City in November. 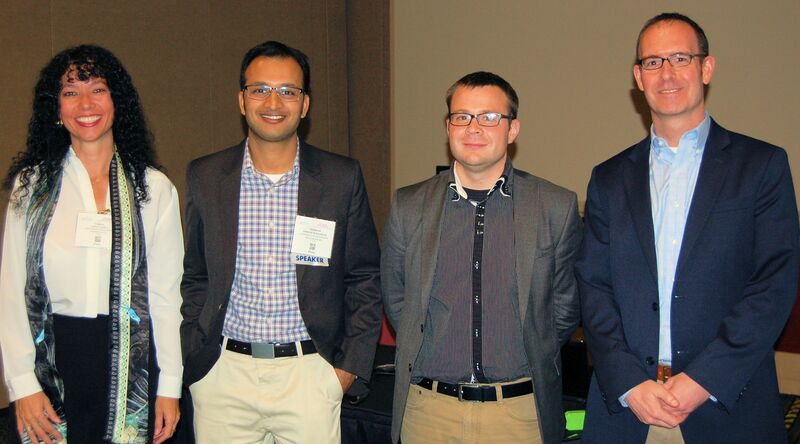 Adhiram Muralidhar (U. Minnesota, advisor: Kevin Dorfman) and Christopher Paolucci (U. Notre Dame, advisor: William Schneider) won the 2015 CoMSEF Graduate Student Awards in Computational Molecular Science and Engineering at the AIChE Annual Meeting in Salt Lake City in November.